Jokes are made about the “Needy Mother” and her ongoing manipulations, but what she is enduring is really no laughing matter. The Needy Mother is a person in the negative Chicory state, and while she appears to be getting everything she wants from the people she manipulates, she is not happy. In fact, in spite of her family’s continual efforts to please her, she feels unloved, and empty. Her possessiveness and her demands are her way of trying to reassure herself that she is loved – even while she believes that it isn’t true. The needy mother’s children, spouse, and friends suffer with her. They can never do enough to please and reassure, because she needs more and more demonstrations of their love. Do you know grown children whose spouses and families must meet grandma’s demands before considering their own wants and needs? One thing to note: In spite of the nickname, the needy mother is not always female, he or she is simply a Chicory personality in a negative state. Often Chicory personalities endured a childhood in which they either were or felt that they were unloved. As a consequence they are really unable to give love – even while “doing for” those they love in an attempt to show how much they care and to receive the love they crave. Chicory people have the capacity for great love – once energy realignment allows them to connect with their souls. 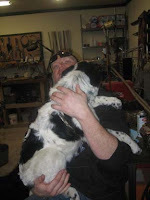 Then, they are able to lavish the same care and affection on their families – but without the demands and expectations of the negative Chicory state. To learn more about the Chicory personality and how Bach Flower Essences can help the "Needy Mother" find happiness, visit the Bach Flower Reference Guide. What does digestion have to do with emotional balance? Well, as we’ve learned, our emotions often manifest themselves in physical ailments, and the emotion that prevents “digestion” of feelings is no different. In the negative Beech state, a person projects his or her negative feelings onto the outside world – and doesn’t recognize any shortcomings in his or her own personality. Thus, the sufferer becomes arrogant and critical of others. This criticism is always given without any attempt to understand another person’s background or situation in life. As with all other emotional imbalances, the negative Beech state stems from a disconnect from one’s Higher Self. After treatment with the Bach Flower Essencehttp://www.blogger.com/img/blank.gif Beech, this person lets go of limited value judgments and opens up to his or her Higher Self. From there, he or she has a great potential for knowledge and self-knowledge. Criticism can be transformed into understanding, while arrogance melts into love and tolerance. 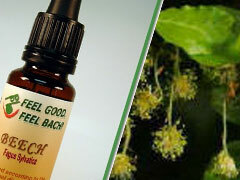 Using the Bach Flower Essence Beech can transform and heal both physical and emotional digestion. So if you think you may be suffering from the negative Beech state, visit the Bach Flowers Reference Guide to learn more. 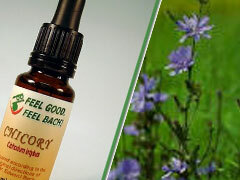 If you're not sure which of the Bach Flower Remedies is right for you, visit Feel Bach! and take our questionnaire.